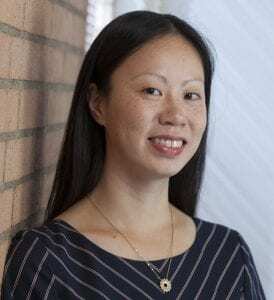 Declines in Americans’ life expectancy warrants thorough examination of possible systemic causes, says USC Leonard Davis Assistant Professor Jessica Ho. The ongoing opioid epidemic in the United States is one of the key contributors to the most recent declines in life expectancy, suggests a USC-led study. The study, authored by USC Leonard Davis School of Gerontology Assistant Professor Jessica Ho and Arun Hendi of Princeton University, looked at trends in life expectancy across 18 high-income countries and found that most countries experienced declines in life expectancy in 2015. The findings point to an urgent need to examine systemic causes of declining life expectancy in the US. This is the first time in recent decades that these many high-income countries simultaneously experienced declines in life expectancy for both men and women, and the size of these declines were larger than in the past. “In the US, we tend to die at younger ages, particularly from causes of death like drug overdose and motor vehicle accidents, and we also have higher infant mortality than other rich nations,” Ho said. She added that large inequalities in life expectancy by socioeconomic status exist in the US, and life expectancy trends for Americans of lower socioeconomic status have been particularly adverse in recent years. The article, “Recent trends in life expectancy across high income countries: retrospective observational study,” was published in The BMJ on August 15, 2018. Principal support for this research was provided by a grant from the Robert Wood Johnson Foundation (74439). Ho is supported by the Eunice Kennedy Shriver National Institute of Child Health and Human Development of the National Institutes of Health (award R00HD083519), and Hendi is supported by a pilot grant from the National Institute on Aging of the National Institutes of Health (award P30AG043073). Release courtesy of The BMJ; additional material by Beth Newcomb. Top illustration: Shutterstock/Arthimedes.